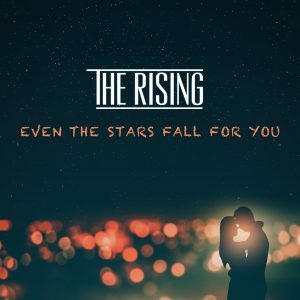 We are so happy to announce the release of our band new single “Even The Stars Fall For You”. The single is a special edit and remix of the song taken from our brand new album, ‘Moving On’. ‘Even The Stars Fall For You’ is a song we are extremely proud of and we are so excited to be able to release the song as a single. Since the albums release the song has been achieving lots of critical appraisal so we responded by choosing it to be the next single. 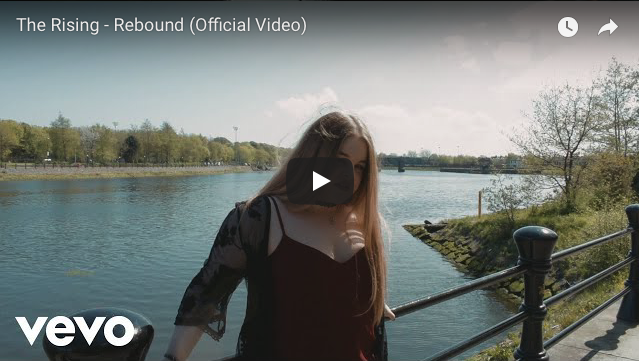 The song itself is based around the idea of love at first sight and also the feeling of true love where you would do anything for the one you love. The writing of the song came from the title and a chorus idea that had sat in a songwriting book since 2010. It was a title and a chorus with a series of blank spaces. It wasn’t until the making of the ‘Moving On’ album that we went back to the songbook for ideas. Once we found the idea the song came together quickly and we had the bones of the song done and demoed within a single day’s writing session. We centered in on the idea of a couple meeting for the first time. How their eyes meet across the room for the first time and they begin to fall in love. Each one dreaming about what life with the other would be and how fast they are falling for each other. Recorded in the band’s native hometown of Belfast, Northern Ireland at the bands own studio Renegade Studios and also PlethoraTone Studios, Nashville, TN (USA). The song also features Nashville Pedal Steel legend Tommy Detamore and John McCullough on Piano and Hammond Organ. Prev Post: New Album ‘Moving On’ Out Now! !